Hardus Viljoen's ten-wicket match haul, which included a marathon 14-over spell at the end of the final day, gave the defending champions Lions an important win in the opening round of the first-class competition. After taking four wickets in the first innings to ensure Lions took a 73-run lead into the second knock, Viljoen claimed six in the second to ensure Dolphins' attempt at holding out for a draw was drowned. On a spicy Wanderers surface, batsmen were made to work hard, as the hosts discovered when they chose to bat first. They were 86 for 4 before Temba Bavuma, who was back to his regular place in the middle order after he opened the batting for South Africa in the Delhi Test against India, steadied them. His 57 held together an innings punctuated with starts but few follow-throughs and would have had the Dolphins thinking they had taken an early advantage. Viljoen, Dwaine Pretorius and Pumi Matshikwe quickly made sure that was not the case. The Lions trio ripped through a Dolphins line-up which only had three batsmen reach double figures. Of those, David Miller's 62 and Calvin Savage's 44 were the difference between being bundled out for under 100 and creeping over the mark but the Dolphins were still behind at the halfway stage. Conditions eased as the match went on and the Lions' second innings was far less frenzied. Rassie van der Dussen and Devon Conway put on 79 for the second-wicket and van der Dussen and Alviro Petersen added 77 for the third to allow the lead to swell. Lions had three batsmen make half-centuries and declared on 319 for 8, setting the Dolphins a target of 390 and a day and a bit to bat out and it almost looked like that would not be enough time to force a stalemate. Dolphins recovered from 57 for 2 thanks to a century from Imraan Khan and when he was dismissed, they began a blockathon. Cody Chetty batted for 11 minutes short of three hours and faced 104 balls for just 23 runs, David Miller spent two minutes less than two-and-half hours at the crease and faced 93 balls for 33 runs and Daryn Smit, Sibonelo Makhanya and Savage all batted for more than an hour. Dolphins were on 224 for five at tea and saving the game was within sight but the second new ball had just been taken and Viljoen was in the mood to finish things off. He had David Miller trapped lbw seven overs later and bowled through the rest of the session, plucking three more wickets along the way, to give the Lions a win with just eight overs left in the day. After finishing at the bottom of the 20-over competition table and lying in the same position midway through the one-day cup, Knights got their first-class campaign off to a better start with a massive victory over Cape Cobras. On a Newlands surface which offered early movement, Knights bowled their hosts out cheaply twice and had the only century-maker of the match in their camp to complete their win. 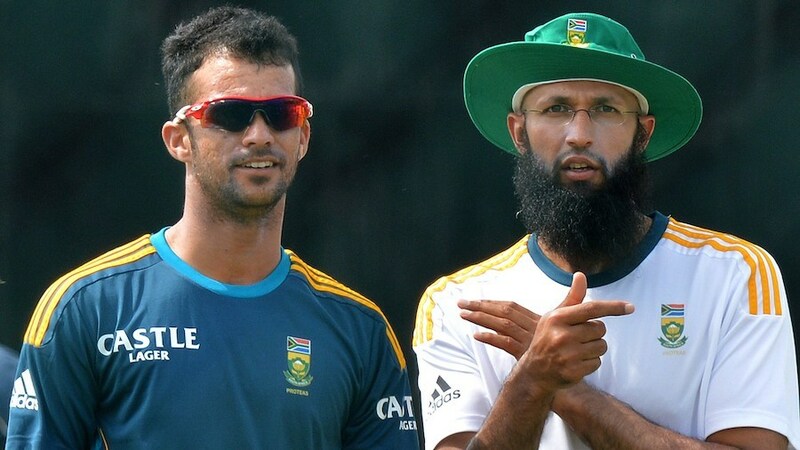 Three of the Cobras' batsmen - Hashim Amla, Stiaan van Zyl and JP Duminy - are in South Africa's Test squad and collectively, they posted 131 runs in six innings. The other national player in action, Dane Piedt, fared better and picked up four wickets but could not stop Knights from piling on a big lead after dismissing Cobras for 146 on the first day. Pacer Shadley van Schalkwyk was the destroyer in chief and the man who accounted for both Amla and Duminy. Half-centuries from Letlotlo Sesele, Diego Rosier, Pite van Biljon and Tumelo Bodibe put Knights on course to take the advantage, but it was their captain Werner Coetsee who put the match beyond Cobras' reach. Coetsee, who is in his 12th season as a first-class player and was batting at No.7, scored a hundred and had assistance from the tail. Dillon du Preez contributed a fifth half-century to the Knights innings to see them take a 345-run lead. Cobras were never up to the task of setting Knights a target, although they fared a little better in the second innings. Keegan Petersen and Mthokozisi Shezi scored half-centuries but they totaled less than 250 to lose inside three days. Pacer Duanne Olivier took 4 for 88 while offspinner Michael Erlank took three wickets. Less than a week after winning their third limited-overs' trophy in three seasons, Titans began their first-class campaign with a hard-fought victory over a stubborn Warriors side. They collapsed in their first innings to concede a deficit of 160 runs and failed to recover, despite a strong showing with the ball to bundle Titans out for the lowest score of the match in the second innings. The hosts were reduced to 30 for 3 by a Basheeru-Deen Walters burst, but recovered through a 185-run fourth-wicket partnership between Heino Kuhn and Farhaan Behardien. Kuhn went onto score the only century in the match, but the stand ended when Behardien became Walters' fourth victim. Handy contributions from Grant Mokoena (46) and David Wiese (48) then took Titans past 300. The tail saw them edge over 350, before Walters claimed his fifth wicket to wrap up the innings. In response, Warriors struggled. They collapsed to 81 for 7 as Titans'quicks Ethy Mbhalati, Eldred Hawken, Rowan Richards and Wiese shared the spoils. Clyde Fortuin and Sisanda Magala, however, mounted some resistance, helping Warriors to 209 with an 86-run stand for the eighth wicket. Chasing 332, Warriors then lost opener David White in the second over, but Colin Ingram's cautious 74, which guided them to 209 for 5, inspired some confidence. Once Ingram was bowled by Henry Davids, Warriors slid. They lost their last five wickets for 56 runs, with all the Titans' seamers claiming a share of the spoils.